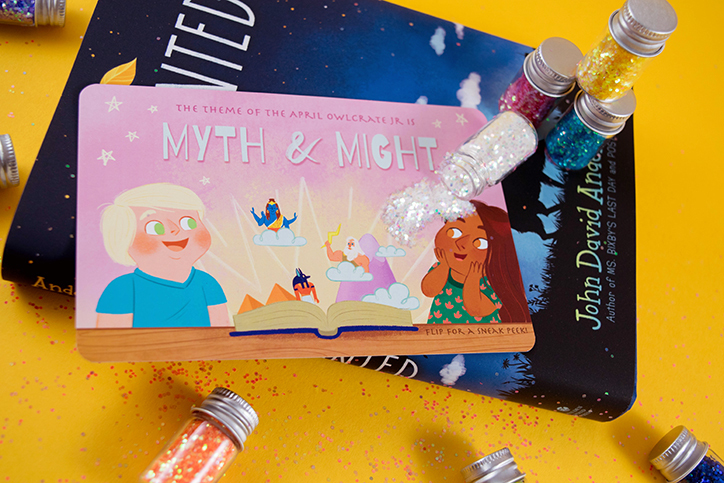 Make a Wish with the OwlCrate Jr. March 2018 Box | YAYOMG! Note: As OwlCrate Jr. Reps, we received this box for free in exchange for a fair and honest review. All opinions are our own; we were under no obligation to give a positive review. 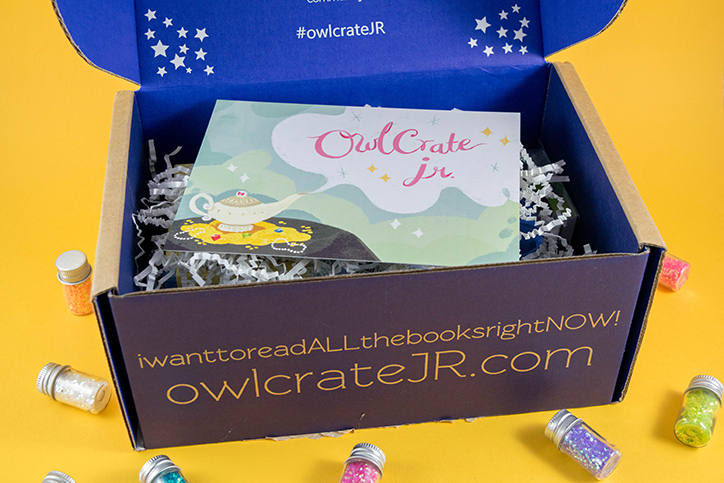 Before we get to our unboxing, we just wanted to give a shoutout to the OwlCrate and OwlCrate Jr. teams. March is a very special month for them! 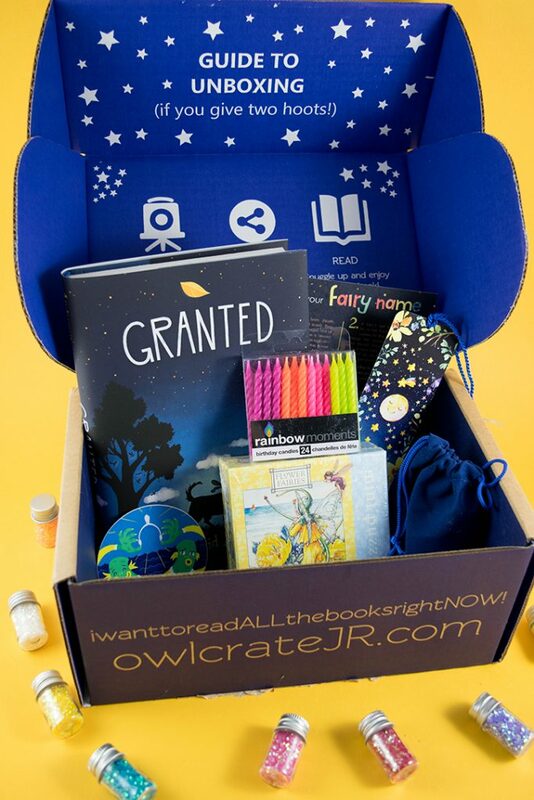 Their YA box, OwlCrate launched for the very first time in March 2015, and OwlCrate Jr. began in March of last year. We just wanted to wish them a very happy birthday – we know there will be many more to come! 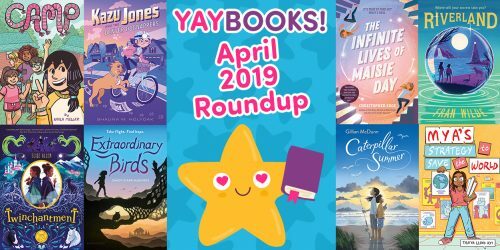 They’re a tight-knit group of dedicated, hard-working people who are passionate about books and connecting readers with amazing new stories, products, and book magic every single month! With our gushing out of the way, let’s talk this month’s box! The theme for March is I WISH, and this box is packed to the brim with a whimsical story about fairies and wishes as well as everything you need to make and grant wishes of your own. We can’t wait to show you what’s inside, so let’s take a look! 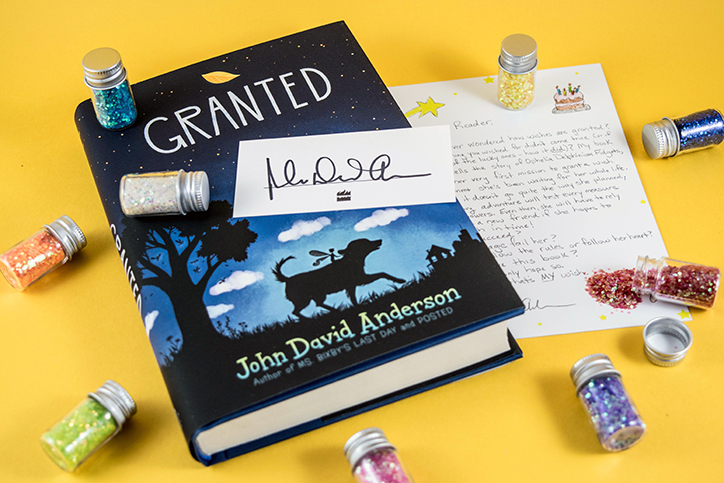 Granted is a fantastic modern fairytale from John David Anderson, author of Posted and Ms. Bixby’s Last Day. We know readers are going to adore Ophelia Delphinium Fidgets and the story of her very first wish-granting assignment. 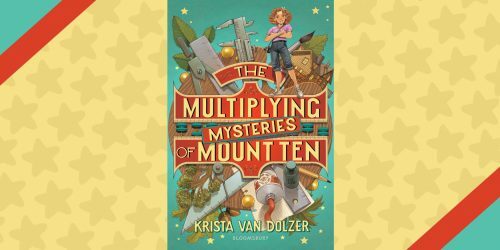 It’s super funny, full of heart, and truly magical. 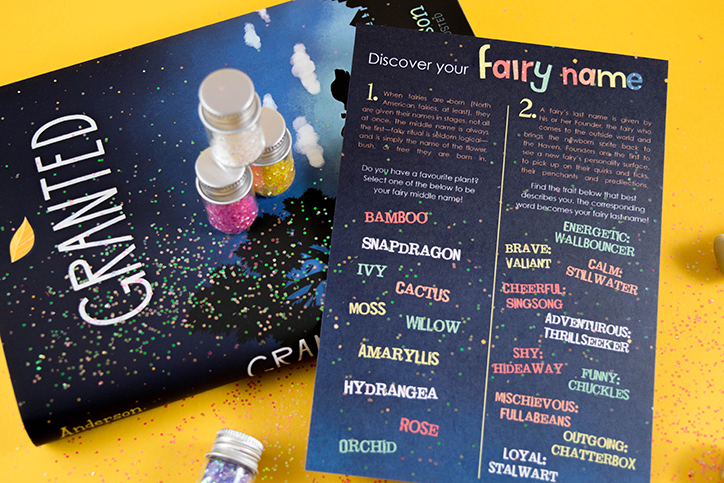 Along with the book, OwlCrate Jr. subscribers received an exclusive hand-written letter from the author, an autograph card, and a quiz to help you find out your fairy name! “Everyone who wishes upon a star, or a candle, or a penny thrown into a fountain knows that you’re not allowed to tell anyone what you’ve wished for. But even so, rest assured: There is someone out there who hears it. Ophelia Delphinium Fidgets is no ordinary fairy—she is a Granter: one of the select few whose job it is to venture beyond the boundaries of the Haven and grant the wishes of unsuspecting humans every day. It’s the work of the Granters that generates the magic that allows the fairies to do what they do and to keep the Haven hidden and safe. But with worldwide magic levels at an all-time low, this is not as easy as it sounds. On a typical day, only a small fraction of the millions of wishes made get granted. And even granting those promised few means navigating a human world fraught with danger. We’ve gotta be honest here, we almost never remember to use bookmarks. We usually grab for whatever is nearest to us while reading – a train ticket, a crumpled up receipt, a paperclip. You name it, if it’s flat and fits inside a book, we’ve used it. That is – until now. 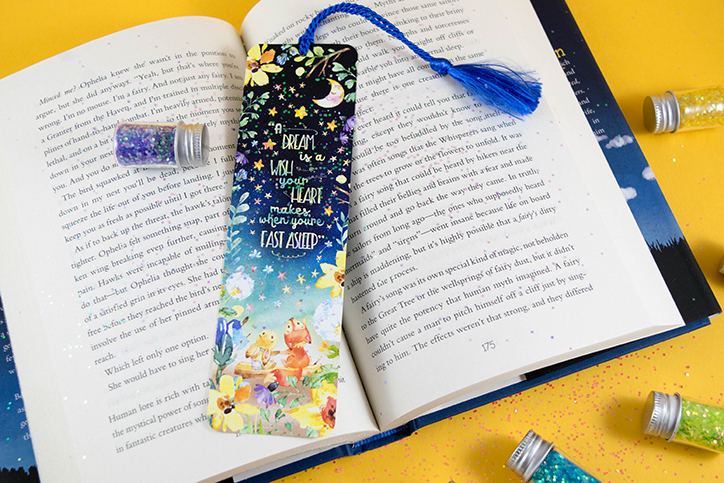 This absolutely gorgeous Cinderella inspired bookmark is one we will use to dream our biggest dreams, make lots of wishes, and hopefully remember to carry a bookmark around with us next time we sit down to read! The bookmark is double sided, one side featuring a beautiful drawing of a bunny and a fox. The other side has a hand-lettered quote from Cinderella, “A dream is a wish your heart makes when you’re fast asleep.” It’s one of the prettiest items we’ve ever received in our OwlCrate Jr. box. Celebrate your birthday, your un-birthday, a good grade on a test, or making the team with these awesome neon candles! It doesn’t have to be your birthday to blow out a candle and make a wish! Who knows, maybe Ophelia will come down from the Haven and grant it for you. We wish all of you could smell how absolutely delectable this bath bomb smells! It’s scented like “fruity cereal,” so it’ll make bathtime smell like you’re floating in a bowl of Froot Loops! It’s already pretty magical to watch bath fizzes do their stuff, but with a scent like this, it feels like a wish come true! 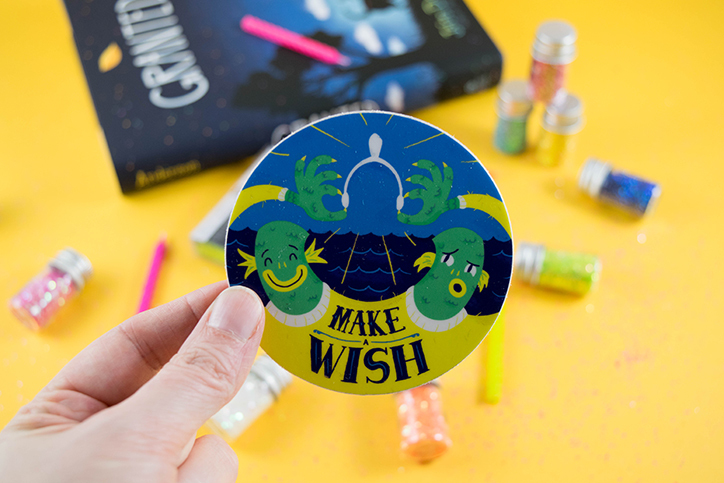 We’re all about cute monsters, so we’re loving this sticker! Who do you think will get the bigger half of the wishbone? 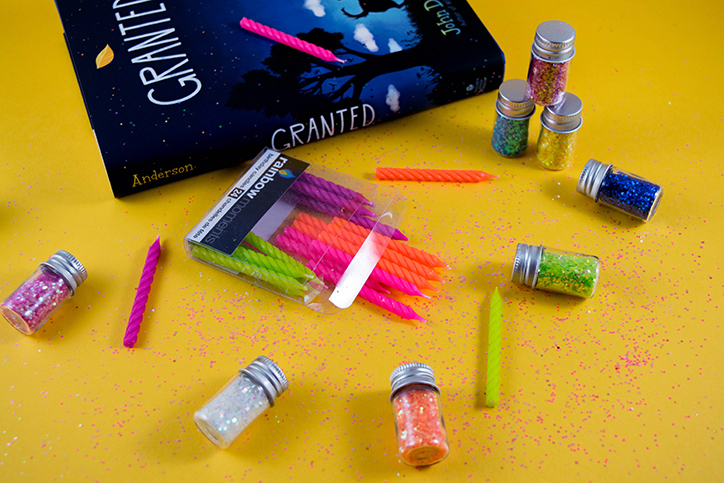 This lovely fairy puzzle pairs perfectly with Granted, the book included in this month’s box. The book is all about fairies and wish granting. 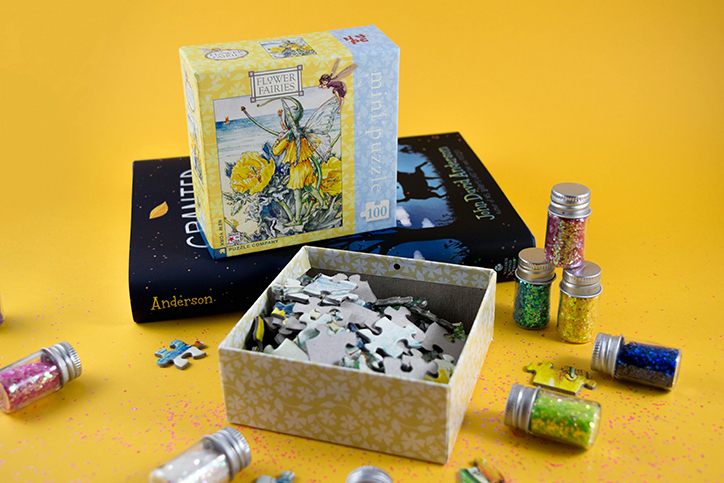 When you need a break from a hard day, this fairy puzzle will be there to help grant your wish of relaxation and de-stressing. This box sounds like it’s going to be completely thrilling! Can’t wait to get our hands on it this April! 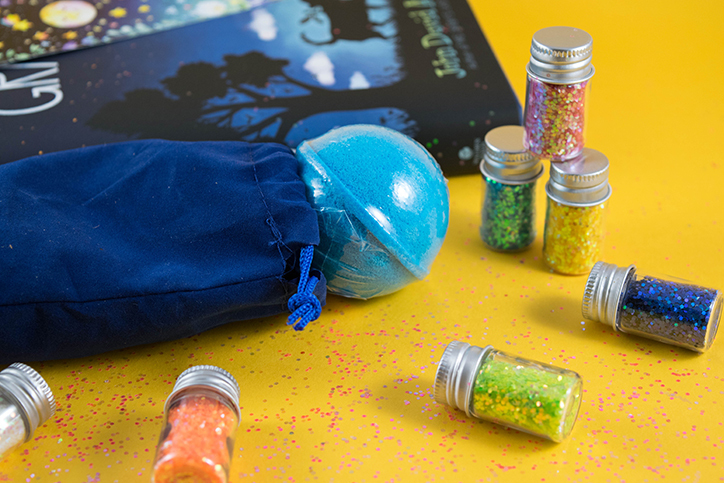 The OwlCrate Jr. team has already announced that one of the items in the April box will be a Percy Jackson inspired pillowcase. Grab your favorite adult, and head to owlcratejr.com! 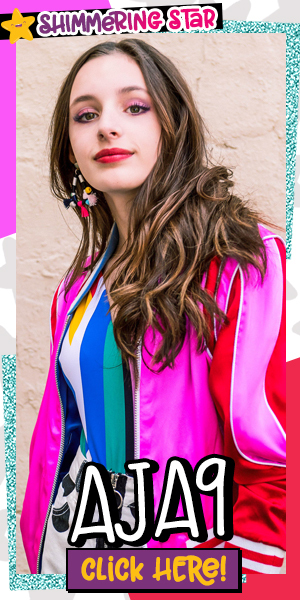 Be sure to use our code OMG10 for 10% off your purchase! Cost Per Box: $27.99 + S/H, 3 month and 6 month pre-paid subscriptions also available! 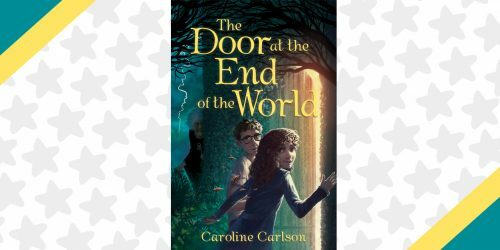 Looking for more magical reads to add to your shelf? Author Lauren Magaziner shared 10 Magical Facts about her new novel, Wizardmatch!